The early days of pilot and scoundrel Han Solo (Alden Ehrenreich) are chronicled in this thrilling "Star Wars" adventure. After Han meets the Wookiee, Chewbacca (Joonas Suatamo), they fall in with professional thief Tobias Beckett (Woody Harrelson). 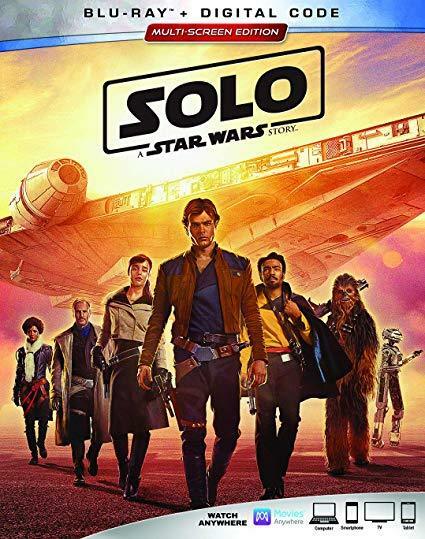 The three are joined by Solo's ex-girlfriend Qi'ra (Emilia Clark), and suave smuggler, gambler, and Millennium Falcon owner Lando Calrissian (Donald Glover) as they try to boost a supply of starship fuel for a sinister crime boss (Paul Bettany). Thandie Newton co-stars. 135 min. Widescreen; Soundtrack: English. Two-disc set.